This photo was taken in 1953 in Richmond Buildings. It was just one of the many street parties held all over the country to celebrate the Queen’s Coronation. I am the one on the left with the crossed eye! my sister is on my right, I can’t remember the other girl in the photo. Marion, That is a very good photo. It really brought back some memories. I can remember that day so clearly – I think we had some mugs as well. The parties we had in Richmond Buildings were always such good fun. I don’t know if you remember me, I was Pat Marshall, my sister was Christine, we lived with Mrs Cooper, she fostered us and had a son Michael and two boys she fostered David and Freddie Perkins. I am sure I remember somebody called Booth and Pat Fieldus. My Granny Marshall lived at the Albion Hill end, they had a garage on the side of the house. The other girl in the photo does look familar but I can’t think of her name. I remember Julie Patmore and her brother; they had a bad fire at their house. Pat, was your dad the chimney sweep? I’ll ask my sister Colleen (Roche) if she remembers you as being 6 years older than me she knew more people than I did, but I do remember Pat Booth as she used to play with my sister. I saw her in Churchill Square a few years ago and I recognised her straight away even though I was only 8 when we moved from Richmond Buildings and I hadn’t seen her in over 40 years, she even sounded the same to me! My brother Alan used to be friends with Michael Caine but I can’t remember his other friends just now. John Marshall the sweep was my uncle, my father was Len Marshall. We were in Richmond Buildings from 1951 until 1954. I was 12 when we left and my sister was 9. I wish I had seen Pat Booth, I shall never forget her. My sister and I took her to Queen’s Park with us and she fell in the pond. The park keeper fished her out and we had to take her home soaking wet. We went to live in Millers Road near Preston Park then for a year; then to Whitehawk Avenue for 3 years, before we moved to Somerset where I am now. I’ve been here for 48 years but I shall never forget my childhood in Brighton. We have been back every year to see Dad but he died two years ago and we haven’t been back since. It’s so nice to be able to talk to somebody about Richmond buildings. Pat, what a coincidence that you not only lived near us first in Richmond Buildings but also when you moved to Whitehawk. We moved to Twineham Road in Whitehawk in 1958 so I knew Whitehawk Avenue very well as I had a few friends who lived there. I never managed to fall in the pond at Queens Park but I did once or twice fall in the pond at The Level. I had a three-wheeled bike that I used to ride around the pond and somehow I managed to end up in the pond with the bike more than once! Pat – do you remember Susan Caine? She was another one of Colleen’s friends and the Collier family who lived next door to us: Brenda, Gwen, Julie, Jannie, Len and I think George. I think there was an older girl but I can’t remember her name. 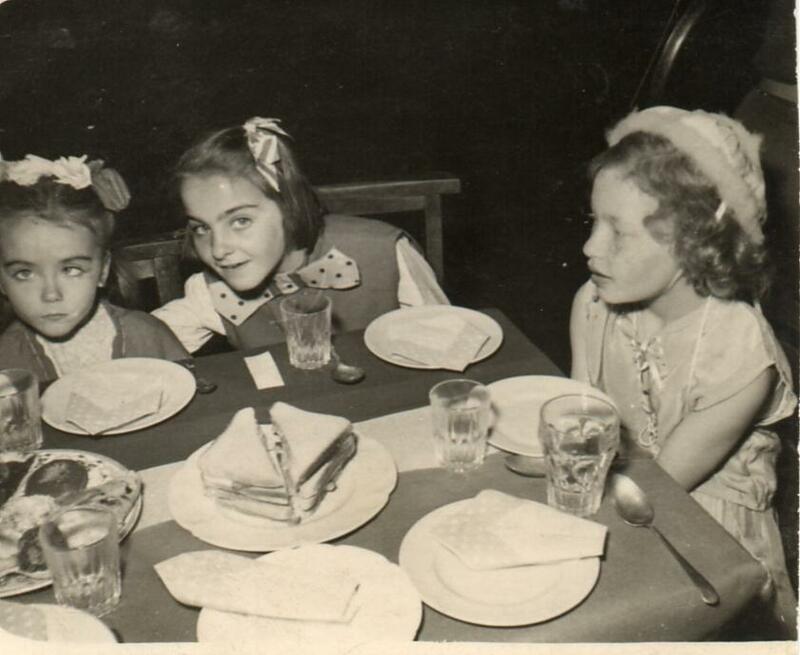 I used to play with Gwen, Julie and Jannie; my sister Colleen was Brenda’s friend. I work in the same place now as John Marshall’s son, Richard, and his dad used to clean our chimney in Whitehawk. I expect he also cleaned the chimney in our house in Richmond Buildings but I can’t remember. As you say, it’s nice to be able to talk to someone else about Richmond Buildings. Pat, you should have received my email address through this website, if you need to ask anything that you don’t want anyone else to see please feel free to email me direct. Regards, Marion. Editor’s note: Due to the restrictions of the Data Protection Act email addresses are hidden from public view – the exception is if an email address appears within the body of the message, in which case it is seen as ‘permission to be made public’ and will be published. Marion, I haven’t recieved your email address yet. That is a coincidence you moving to Whitehawk as well, but we left there in 1958 so we must have just missed you. We lived at 80 Whitehawk Avenue next door to the Bradfords. We lived with our grandparents, Mr and Mrs P Turrell, and Auntie Betty and Linda. I was very friendly with a June Chapman. I went to Whitehawk Seniors for two years and left when I was 15 and went to work at Harrimonds dressmaking factory in Bevendean, and then to a shirt factory in Western Road. Yes, I do remember the Colliers but it is very hazy. I don’t think I played with them much. I played mostly with Pat Fieldus and Julie Patmore. Did you ever go to the creek to play? I think it was at the top of Sussex Street. We played in an old ambulance and there was sand there and swings. And do you remember the old junk shop at the end of Richmond Buildings? I loved rumaging around in there. When I think how Chris and I used to wander all over the place on our own… we had such freedom then. We used to go to the Level as well, I loved that pond there with the big pillars around it. We were always up to some mischief with the park keeper chasing us. Pat, I’ve asked Jennifer if she could resend my email address to you. I also went to Whitehawk Secondary School but after you had left. I know Julie Patmore by name but can’t remember her face, did she move to Hervey Road Manor Farm after Richmond Buildings? Yes, I used to play in the Creech (as we called it) where the swings and the vehicles were on the lower part of the park and the sand was up on the top area. Do you remember old Fluffy Flo from Albion Hill? I believe my brother used to buy things from the junk shop in Richmond Buildings such as quite dangerous electrical items. It’s a wonder we weren’t all electrocuted in our family. Hope you get my email address OK.
Marion, yes – it was the ‘Creech’. I remember Chris and I always used to call for two little blonde girls on the way to the Creech. I can’t remember their names, but they both had 6 toes on each foot. Yes I do remember old Fluffy Flo, I think she was an aunt of my dad’s because when she died Dad’s two sisters cleared out all her things and they found a load of money under the mattress. I did meet Uncle John’s two sons at Dad’s funeral but when we moved to Somerset we lost touch with a lot of the family. Mum and Dad were divorced and we came here to live with Mum. We lived with a Mrs Billeness first, she lived at the Albion Hill end opposite Uncle John; she had two children but I can’t remember their names. Before we went to Richmond Buildings we lived in Wathurst Rise in Whitehawk in the prefabs. I can remember the Farleys and the Cullens, and we used to play up at East Brighton Park; but I was only 7 and I can’t remember any more. John Marshall and Len Marshall were my uncles, my mother is Elizabeth Boatwright nee Marshall. As I remember, my grandfather Bill had children, John, Len, Dorothy (Bo) Kit, Bert, and my mother Elizabeth. I only remember Len’s wife as Enid, perhaps he was married twice. John and Rose had two sons, Richard and Roger, who are my cousins. If you have any more details on the family history it would be good to hear from you. Hi Pat. Thanks for your reply to my post. Maybe you could email me at jennyjeal@hotmail.co.uk and we could discuss our family ties in more depth. Look forward to your email. Can any one remember the coronation party at Manor Road? I can remember we were all dressed as a pack of cards. They were made by Mr Wellard from Manor Way. Sorry Terry for not seeing your message before today. I’ve sent him an email with a link to this page so he can see your message. Hope you and your family are well? If you send an email I will give you my phone number. I lived in Hervey Road and we had a party for the coronation, but sadly I lost the photos. Does anybody have any?